Each yeah The Chase sends a Christmas card or gift to each of their clients to thank the for their support. The project had to be original, seasonal and show off the companies creative chops. 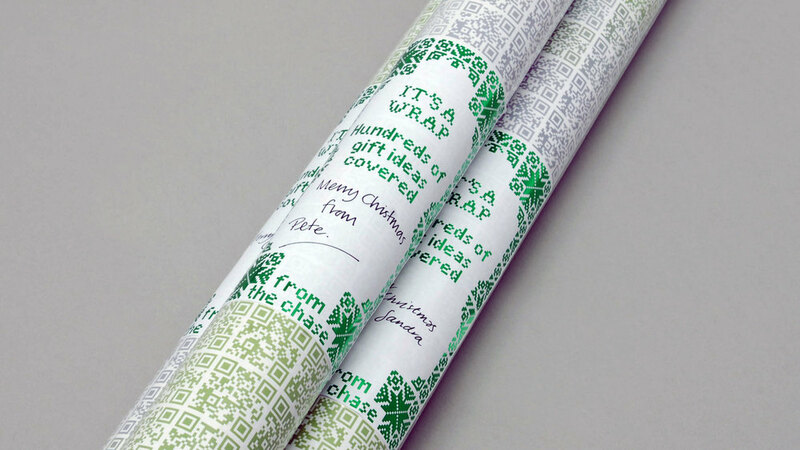 From space hoppers to spa days, lego to lipstick, iPods to private islands our QR Christmas wrapping paper links you to hundreds of gift ideas for all tastes and budgets. Scan a QR code and be inspired by one of over 300 suggestions. Each QR code reveals a different Christmas gift idea.